So it's been 9 months since my last post here on Arrows Sent Forth, but that doesn't mean I haven't been busy traveling and writing elsewhere. So here's what's been keeping me busy lately, and then a preview of what's ahead. 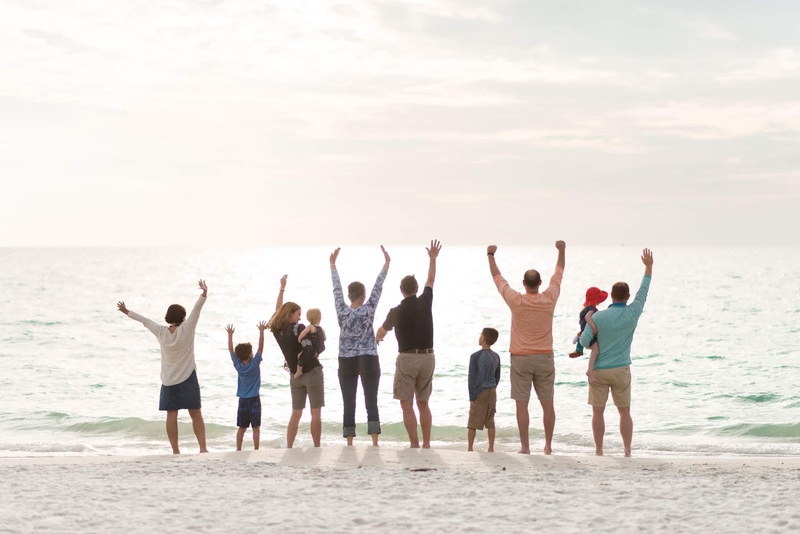 In December, we enjoyed a 4-night stay with extended family in Treasure Island, Florida (near Tampa/St. Petersburg/Clearwater). Such a fun Christmas break getaway and a wonderful time to see family. We stayed at the Residence Inn there... a great option for it's super convenient beachside location and spacious family-oriented rooms. We mostly just relaxed, but did make a return to Caddy's on the Beach and the St. Petersburg Saturday Morning Market (two places I've blogged about from past trips). And we hired a Flytographer as a gift to my in-laws. Highly recommend! In March, we jetted off to Costa Rica! I had high expectations for this trip and it did NOT disappoint. This is a definitely a trip I want to flesh out in more detail in future blog posts. But quick synopsis: we spent 3 nights near Arenal, 3 nights in Manuel Antonio, and a final night in San Jose before flying back. Shoot me a message if you're contemplating Costa Rica and don't know where to begin from a planning perspective. I can point you in the right direction. I rounded out May with a couple of girl's getaways (New Buffalo, Michigan with my college friends and Orlando, Florida with my girlfriends from England). This summer, we'll spend a week up in Michigan with extended family, I'm whisking my sister and mom off to Colorado for a girl's trip for my sister's 40th birthday, and we're doing a big road trip to South Dakota in July. I have a few fun writing projects lined up, and hope to do even more when the boys return to school. I've also got a really interesting and exciting entrepreneurial project in the works that is completely outside the travel space that I'm devoting some time and attention to. So stay tuned! Note: I received a travel agent discount on my Flytographer session and my trip to Costa Rica. I was under no obligation to write about either experience and all opinions are my own.